Home > Trade Shows in Canada > Canadian Outdoor Sport Shows Inc.
Canadian Outdoor Sport Shows Inc. 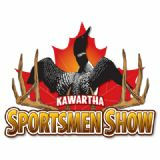 The Spring Fishing & Boat Show, Spring Hunting Show, Niagara Outdoor Sports & Boat Show, Bassmania Tournaments and Competitive Sport Fishing League, under their management company, Canadian Outdoor Sport Shows (C.O.S.S) is a leader in consumer and outdoor event management in the showcasing of fishing, tournament fishing, boating, hunting and other outdoor sports for enthusiasts. C.O.S.S is proud to partner with the sportfishing, boating and hunting industries and their larger communities. Together, our mission is to work towards safeguarding and promoting the enduring social, economic and conservation values of Canada's outdoors heritage and keeping our nation's waters and forests open, clean and abundant with fish and wildlife for the enjoyment of future generations of Canadians.